Floater pair of equant crystals that are formed by two prisms and rhombohedral terminations. 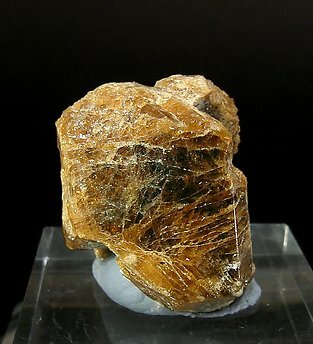 They are translucent, bright, with a dark brown color and have small residual Muscovite. 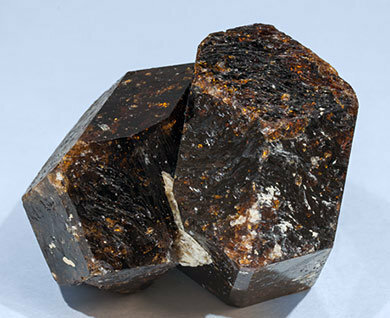 Floater parallel aggregate of doubly terminated Dravite crystals that are between transparent and translucent, very bright, with inclusions and that have a uniform dark brown color. The sample is from the mineral reserve of John S. White whose label we will send to the buyer. This one is really for specialists. 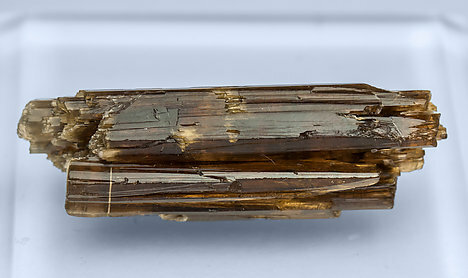 One of the few crystals of Elbaite from St Lawrence County. The specimen is, obviously, not that appealing as not all the faces have grown fully. But it is part of mineralogical history.